On April 3, the Community Foundation of the Virgin Islands (CFVI) will join more than 300 business, government and philanthropic leaders throughout the United States and the Caribbean at the Clinton Global Initiative (CGI) Action Network on Post-Disaster Recovery roundtable meeting at the University of Miami in Florida. The meeting will be held to discuss the challenges within the Caribbean region, post-hurricanes Irma and Maria. Stakeholders will work together to create solutions that will address the critical needs of each community. 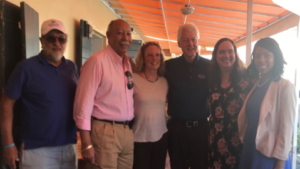 “The Community Foundation of the Virgin Islands is honored to participate in the Clinton Global Initiative Action Network on Post-Disaster Recovery roundtable meeting,” said Dee Baecher-Brown, CFVI president. Earlier this year, members of the CFVI board and staff met with President Clinton during his tour in the U.S. Virgin Islands to discuss his current efforts throughout the Caribbean and his interest in providing additional support to the Caribbean islands that were impacted by hurricanes Irma and Maria. During this trip, Clinton visited My Brother’s Workshop (MBW), a local St. Thomas nonprofit organization that works with at-risk youth, helping them to become positive members of society through mentoring, training, education and job training. CFVI provided grants to support programs like MBW from the One America Appeal, a fundraising initiative supported by all five living American presidents created to address the staggering recovery needs of those that were impacted by the 2017 hurricane season. The Action Network will work directly with local leaders to address critical needs in areas such as health care, housing, education, mental health and climate resiliency. For more than 15 years, the CGI Commitment to Action model has benefitted more than 430 million people in over 150 countries worldwide. Antigua, Barbuda, Dominica, Puerto Rico and the U.S. Virgin Islands have now been included in this partnership. 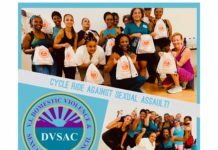 CFVI is a not for profit organization that has been serving the U.S. Virgin Islands since 1990. It is currently administering more than 100 charitable funds, programs and services that are benefitting residents of all ages within the territory. 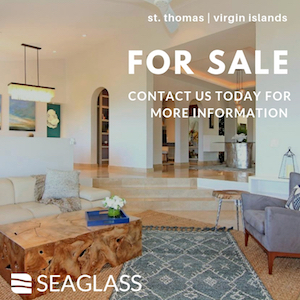 Shortly after Hurricane Irma’s arrival in the USVI, the foundation stepped up as one of the first responders by establishing the Fund for the Virgin Islands and the Friends and Family Fund for USVI Renewal as vehicles for receiving and distributing funds for hurricane relief. Since then, more than 15 funds and fiscal sponsorships have been established at the foundation to support emergency, intermediate and long-term needs of the community. To date, more than $7 million in grants have been distributed throughout the territory to support initiatives and programs that are providing essential services to children, youth and families. 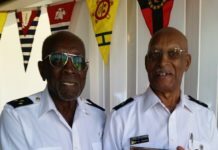 For more information about hurricane relief efforts at the Community Foundation of the Virgin Islands, visit, http://www.cfvi.net/. To stay up to date with the CGI Action Network on Post-Disaster Recovery, visit https://www.clintonfoundation.org/clinton-global-initiative/meetings/cgi-action-network.